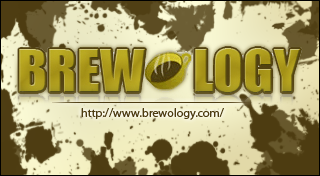 PSVita » Brewology - PS3 PSP WII XBOX - Homebrew News, Saved Games, Downloads, and More! rsn8887 has released Uae4All2 Vita_mod version 1.75 for the PSVita. Use4All2 Mod is an Amiga emulator for Vita and Switch. This is my mod of this great Amiga emulator that was originally ported to the Vita by Cpasjuste. Depending on when you read this, this mod might be ahead or behind his version. Thanks to my supporters on Patreon: Andyways, CountDuckula, Matthew Machnee, and RadicalR. * Copy the resulting folder `uae4all2` to `/switch/` onto your SDCard, ensure none of the “archive” flags is set. * You should now have the executable `/switch/uae4all2/uae4all2.nro` and a folder `/switch/uae4all2/data/` with the keyboard icons and other data files on your SDCard. - A button can be mapped to “slow mouse” in custom controls. When custom controls are on and that button is held down, the mouse pointer speed is greatly reduced. This is useful for precisely positioning the cursor. - Parallel port joystick adapter support for multiplayer games with up to 4 joysticks. - *Speed:* Most games run full speed. Some slow Amiga 1200 and WHDLoad games actually run faster if the CPU speed is reduced from 14 MHz to 7 MHz, because they rely more on custom chips than CPU. Some graphics glitches in Lionheart WHDLoad inside the caves are fixed by this. - *Config File:* If you have problems with settings not saving etc, please delete or rename your config file in the folder `ux0:/data/uae4all` (Vita) or `/switch/uae4all2/conf/` and restart the emu. I heard this can fix many problems when you are replacing an older version of this emulator with a newer version. Lots of things are changing in the config file between releases. - *Display:* The sharp_bilinear_simple shader, on by default, creates a sharp pixel image with minimal blurring. It applies a maximum integer pre-scale first. Then it scales only the small remainder using the builtin bilinear filter, keeping the aspect ratio intact. Many Amiga games fit the Vita and Switch screens very nicely. For example, take Chaos Engine with a screen setting of 320*200 and sharp_bilinear_simple shader enabled. The picture can be zoomed using R+Start+Dpad left/right (R+Plus+Dpad left/right on Switch), and moved vertically using R+Start+Dpad up/down (R+Plus+Dpad up/down on Switch) to center it on the screen. Once this is done, the picture fills almost the whole screen and looks amazing with no artifacts or blurriness. The game runs smooth with zero frameskip. Selecting a ‘Preset Width’ of 320, 352 or 384 (max overscan) results in lo-res screen emulation, good for most games, while 640, 704, or 768 results in hi-res screen emulation, good for use with Workbench or some text-based games. - *Blitter:* The blitter settings can help with graphics glitches in some games. Since it seems to work best, “immediate” is the default. But some games require setting blitter to “normal” and re-booting to remove graphics glitches, for example PP Hammer, Spindizzy Worlds, and Shufflepuck Cafe. - *WHDLoad:* If you have problems with a WHDLoad .hdf game, maybe try an .adf version of the same game. Rock’n Roll is one of a few games that work on UAE4All2 only using .adf files. It has graphics glitches and runs too fast in WHDLoad with .hdf. To make it work correctly, I loaded the “Rock’n Roll.adf” from Gamebase Amiga, chose the preset A500 config, and changed the Blitter setting to Normal. - *Sprite Collisions:* Some games require sprite-to-sprite collisions. Sprite collisions can be turned on in the “more options” menu. The only game I know of that requires this is SpaceTaxi 3. - *Savestates:* Four regular savestates can be saved per game. There’s also a slot for an automatic savestate, labeled “auto”. If it exists, this will be loaded immediately when the .adf is inserted. To prevent this, delete the auto savestate by selecting it and choosing “delete savestate”. - *Multiplayer:* Up to four controllers on Vita TV and Switch are supported and can be fully mapped. The mouse can be switched off because it interferes with the other joystick that controls player 2 in most games. 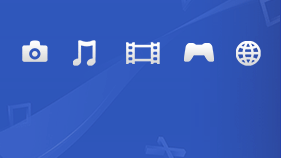 If you pair new controllers on Vita TV and they do not seem to work, scan for them in the “custom controls” menu by pressing L. At the bottom it will say how many controllers have been found. This scanning is not neccessary on Switch. By default, parallel port Amiga joysticks 3 and 4 are controlled by VitaTV/Switch gamepads 3 and 4. They can also be mapped to other inputs using the custom controls screen. - *Sound:* For use with headphones, a stereo separation setting of 50 sounds better than the default setting of 100. The original Amiga had completely disjoint left/right channels. This can sound quite jarring on headphones. Concerning sound frequency, on the Vita, the default of 44.1 kHz gives by far the best results. On the Switch, the best sound is obtained with 48 kHz, which is the only frequency supported on Switch. Those are both included as binaries and linked automatically. * Kickstart rom files not found on startup? First, please ensure you are using the correct files. They should be “kick13.rom” (size: 262,144 bytes), “kick20.rom” (size: 524,288) and “kick31.rom” (size: 524,288). They should be placed in “ux0:/data/uae4all/kickstarts” on Vita and “/switch/uae4all2/kickstarts” on Switch. Second, on Vita, please make sure your ux0:/data folder does NOT have the FAT attributes “hidden” or “system” set. * Black screen on Switch, or crash on startup? In my testing (only with exFAT), I found that exFAT corruption can cause all files in the uae4all2 folder to become corrupted (among others). This includes kick13.rom and other kickstart files, which causes a black screen when leaving the menu. Game .adf files can become corrupted, causing the game to stop booting. Even the executable uae4all2.nro and/or config files in the conf folder can become corrupted quite easily, causing black screen crash on startup. Either don’t use exFAT, or make a good backup of the folder and restore it via FTP if there are problems. Once I switched to FAT32, all these problems with file corruption went away. In this mode, Vita buttons can be mapped to any Amiga side keyboard key or joystick action. There’s also a mapping option called “slow mouse.” It will slow down the mouse pointer by a factor ten if that mapped button is held down. Up to four Vita controllers can be mapped (for multiplayer on VitaTV). Four Amiga-side joysticks are supported. Joystick 3 and 4 are on the emulated parallel port joystick adapter. Mouse + keyboard tested working with the “Jelly Comb Mini Bluetooth Keyboard With Mouse Touchpad, ASIN:B06Y56BBYP,” and with the “Jelly Comb Bluetooth Wireless Mouse ASIN:B075HBDWCF.” The Amiga keys are mapped to Windows (GUI) keys as well as Page Up/Down. The Vita doesn’t pair with all Bluetooth keyboards and mice. As a rule, if the keyboard works to highlight bubbles with cursor keys, it should also work in UAE4All. - Implemented an automatic savestate. There’s a new savestate slot called auto. If it exists, this savestate will be loaded immediately when inserting a floppy. - Parallel port joystick adapter support. By default, Amiga joysticks 3 and 4 are controlled by VitaTV gamepads 3 and 4. They can also be mapped to other inputs using the custom controls screen. - implemented three-finger drag as right-button drag (useful to hold-down the right mouse button). Fingers have to be somewhat apart from each other, otherwise they are recognized as single or dual touch by the Vita. - implemented touchpad-style pointer controls. Touch controls are configured under ‘More Options/Touch.’ Choices are ‘Touch Off’, ‘Front only’, or ‘Front and Back.’ The default is to use only the front panel. Both panels work the same, using relative touch mode. How far a certain finger motion moves the pointer depends on the Mouse Speed setting, which also affects how fast the analog stick moves the mouse. - sticky virtual keyboard keys implemented. The alt, ctrl, amiga, and shift virtual keyboard keys are now sticky. Press them once to enable and another time to let go of the key. Key combos like “Amiga-Q” can now be entered using the virtual keyboard. The circle button quickly un-sticks all keys. - support for Bluetooth keyboard and mouse added. The Vita doesn’t pair with all Bluetooth keyboard/mouse combos. As a rule, if the keyboard works to highlight bubbles with cursor keys, it should also work in UAE4All. Mouse + keyboard tested working with the “Jelly Comb Mini Bluetooth Keyboard With Mouse Touchpad, ASIN:B06Y56BBYP.” The Amiga keys are mapped to Windows (GUI) keys as well as Page Up/Down. - improved joystick diagonals and deadzone when controlling the Amiga joystick with Vita analog stick. The joystick analog-to-digital conversion is now done using a proper radial deadzone with eight symmetric angular zones for the possible directions. - assembler optimizations enabled by Cpasjuste, emulator is faster now! - disabled the menu entries ’screenwidth’ and ’stylus offset’ that did nothing on the Vita. To show the borders in overscan games like Settlers, simply use the menu option ‘Preset Width’ and set it to >320 for lores, (or >640 for hires). There are choices 352, 384, 704 and 768 that cover the full overscan range. - some fixes to savestates. Now savestates work even with no disk inserted in df0. Savestate file name is now the first available name among df0, boot-hd, hdf2, hdf3, hdf4, df1, df2, df3. - now upto four hdf files can be mounted. From my own testing, it looks like 2 Gb is the hdf size limit. Geometry for each file can be changed by manually editing the config file, default is sectors:surfaces:reserved:blocksize=32:1:2:512 for files 1Gb and 32:4:2:512 for files >2Gb. Only files <=2 Gb seem to work. - allow the “other joystick” to be mapped in custom controls to the Dpad or any buttons. This only works if ports is not set to “both”. Works great for Llamatron in dual joystick mode! - virtual keyboard transparency adjust now toggles between four values, two of which cause zero slow-down when keyboard is displayed. - Changed controls. The virtual keyboard is too useful to put it on an obscure combo. Start Button now toggles the virtual keyboard. When keyboard is active, right analog stick then controls the keyboard’s vertical position and transparency. When keyboard is off, use R+Start+Dpad to move screen up and down and to quick switch between common resolutions. This used to be just Start+Dpad. Now it is R+Start+Dpad. - bugfix: the virtual keyboard sometimes sent joystick button presses to the emulator when selecting keys. This has been fixed. - The virtual keyboard can now be moved up and down using start+dpad up and start + dpad down. - START+DPAD left/right for quick switching between different zoomed screenmodes, useful for games like Chaos Engine. Use START+DPAD up/down to center screen after quick switching. 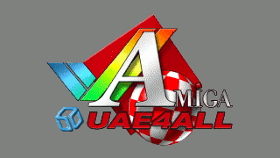 Download Uae4All2 Vita_mod from the Brewology PSVita Store. frangarcj has released NoPsmDrm version 1.4 for the PSVita. Download NoPsmDrm from the Brewology PSVita Store. blastrock has released pkgj version 0.41 for the PSVita. Download pkgj from the Brewology PSVita Store. blastrock has released pkgj version 0.40 for the PSVita. theheroGAC has released Autoplugin version 3.57 for the PSVita. rsn8887 has released Uae4All2 Vita_mod version 1.74 for the PSVita. Many Amiga games fit the Vita screen very nicely. For example, take Chaos Engine with a screen setting of 320*200 and sharp_bilinear_simple shader enabled. The picture can be zoomed using R+Start+Dpad left/right, and moved vertically using R+Start+Dpad up/down to center it on the Vita screen. Once this is done, the picture fills almost the whole screen and looks amazing with no artifacts or blurriness. The game runs smooth with zero frameskip. - *Multiplayer:* Up to four controllers on Vita TV are supported and can be fully mapped. The mouse can be switched off because it interferes with the other joystick that controls player 2 in most games. If you pair new controllers and they do not seem to work, scan for them in the “custom controls” menu by pressing L. At the bottom it will say how many controllers have been found. By default, parallel port Amiga joysticks 3 and 4 are controlled by VitaTV gamepads 3 and 4. They can also be mapped to other inputs using the custom controls screen. First, please ensure you are using the correct files. They should be “kick13.rom” (size: 262,144 bytes), “kick20.rom” (size: 524,288) and “kick31.rom” (size: 524,288). They should be placed in “”ux0:/data/uae4all/kickstarts” Second, please make sure your ux0:/data folder does NOT have the FAT attributes “hidden” or “system” set. In my testing (only with exFAT), I found that exFAT corruption can cause all files in the uae4all2 folder to become corrupted (among others). This includes kick13.rom and other kickstart files, which causes a black screen when leaving the menu. Game .adf files can become corrupted, causing the game to stop booting. Even the executable uae4all2.nro and/or config files in the conf folder can become corrupted quite easily, causing black screen crash on startup. Either don’t use exFAT, or make a good backup of the folder and restore it via FTP if there are problems. Team ONElua has released Adrenaline Bubble Manager version 5.14 for the PSVita. 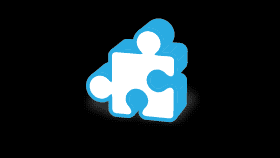 - Use Default Title option added to Submenu (START) enable it to skip the renaming process. - Now when creating 2 or more bubbles you’ll have to rename all the bubbles before the creating process begins. Download Adrenaline Bubble Manager from the Brewology PSVita Store. blastrock has released pkgj version 0.39 for the PSVita.